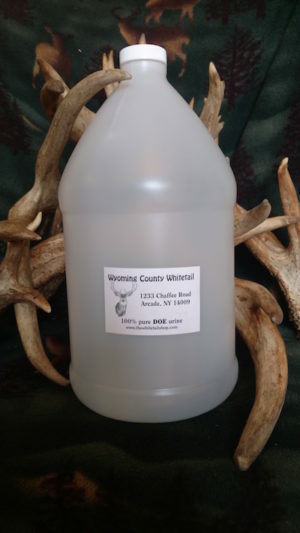 Premium fresh 100% whitetail doe urine with no additives or preservatives. 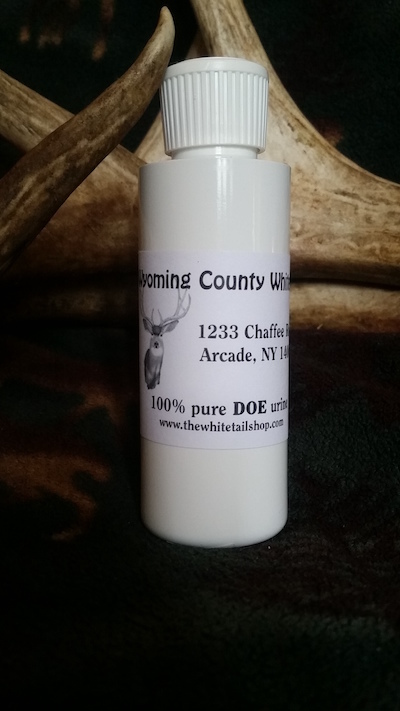 Premium fresh 100% whitetail doe urine with no additives or preservatives. This deer urine will actually be yellow or very light cider color, which urine should be, not like the mass produced stuff which is the color of coffee and smells like a sewer. Collected twice daily from our own does and refrigerated immediately to preserve freshness. 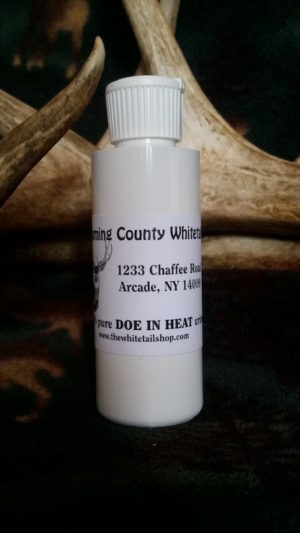 This works great as a curiosity lure and cover scent as deer are naturally inquisitive and social animals. Our herd is certified chronic wasting disease free through the NY State Department of Agriculture and Markets and we are also a member of the Archery Trade Association Deer Protection Program. Free standard shipping included in all 2 oz, 4 oz, quart, and gallon orders. Free dispenser bottle with quart and gallons orders. Stop by our farm to pick up fresh deer scents where we offer prices discounted 25-40% compared to our on line prices. No text or images may be used from this site without written permission.